A landmark first CD reissue of one of the best... but least known... rhythm and blues singer-pianists from Memphis! 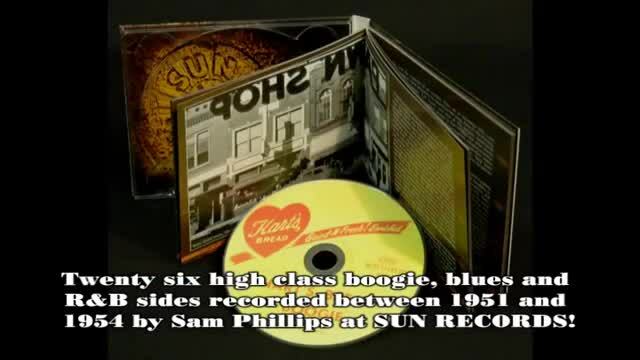 Twenty six high class boogie, blues and rhythm and blues sides recorded between 1951 and 1954 by Sam Phillips at Sun Records. Includes all 4 Billy 'Red' Love sides recorded by Sun and issued by Chess Records in 1951 and 1952 including the extremely rare, never before reissued, ''My Teddy Bear Baby'' / ''Poor Man''! Includes Love's classic recording of ''Juiced'', issued under the name of Jackie Brenston as the follow up to ''Rocket 88'', plus both sides of he Sun single that never was, ''Hey Now'' / ''Way After Midnight''. Includes the rare promotional disc for Hart's Bakery in Memphis, ''Hart's Bread Boogie! 10 tracks not originally issued in the 1950s and 10 more tracks issued here for the first time! Features the cream of Memphis rhythm and blues musicians. Included a booklet by Martin Hawkins contains the first ever biography of Love's unusual career and amazing life. Rare photographs including the first ever solo shot of Billy Love! This time, it's Billy Love,and his story fills a void in the story of Memphis music. Love was Sun's rhythm and blues session pianist and led Rosco Gordon's road band for some years. In and out of the forces, in and out of employment, in and out of jazz clubs, and in and out of the attention of law enforcement officers, Billy Love led a full, short, frustrating and strange life. But in his singing, songwriting, arranging and piano playing he was up there with the best. This CD tells it all!